Scroll down for an enhanced Map Of Idaho. 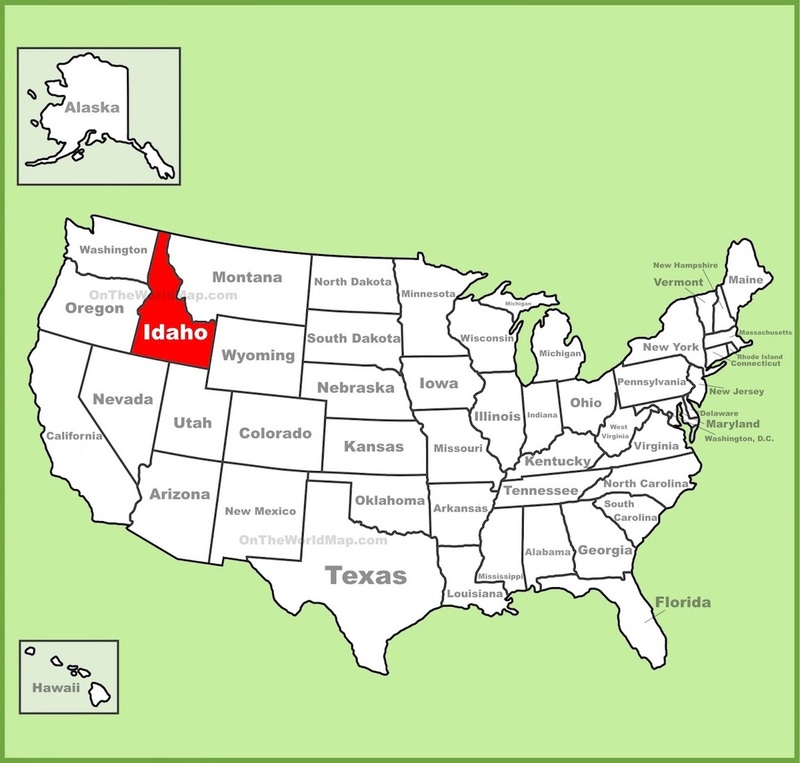 The above US map shows the location of the state of Idaho in relation to other US states. Read on to find out fun facts about Idaho, and also find links to other free printable maps. 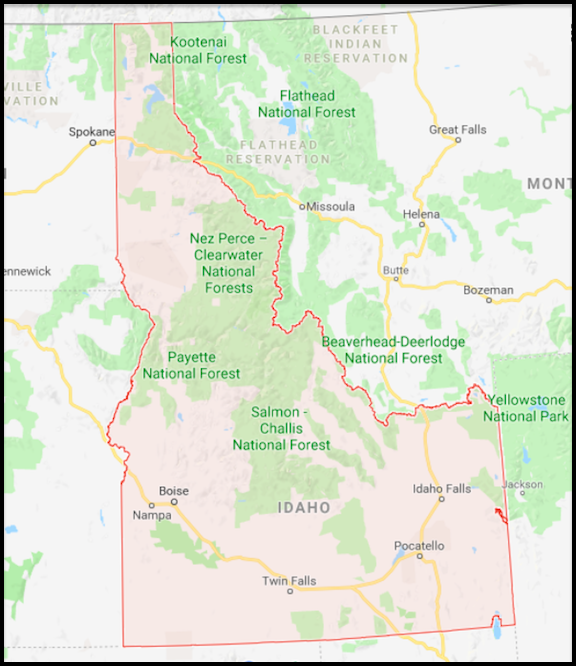 In land area, the state of Idaho is larger than Maine, Massachusetts, Connecticut, Rhode Island, New Hampshire, and Vermont combined. Idaho is home to 4.7 million acres of wilderness. According to census reports, the largest ethnic population in the state of Idaho is "other." The total length of all of Idaho's rivers measures more than 100,000 miles. The largest diamond ever found on US soil was discovered in Idaho. Idaho is known as the "Gem State," for its production of 72 different types of precious and semi-precious gemstones. Boise State University is home to the world's only blue football field. Idaho produces roughly one third of the nation's potatoes. Moscow, Idaho is known as the "Lentil Capital Of The World." Native tribes in what is now the state of Idaho included Blackfeet, Nez Perce, and Shoshone, among others. Above: A free printable map of Idaho, flanked by Montana to the east, Oregon and Washington to the west, Nevada and Utah to the south, and Canada to the north. Hit this link for detailed reports about Community Colleges in Idaho.